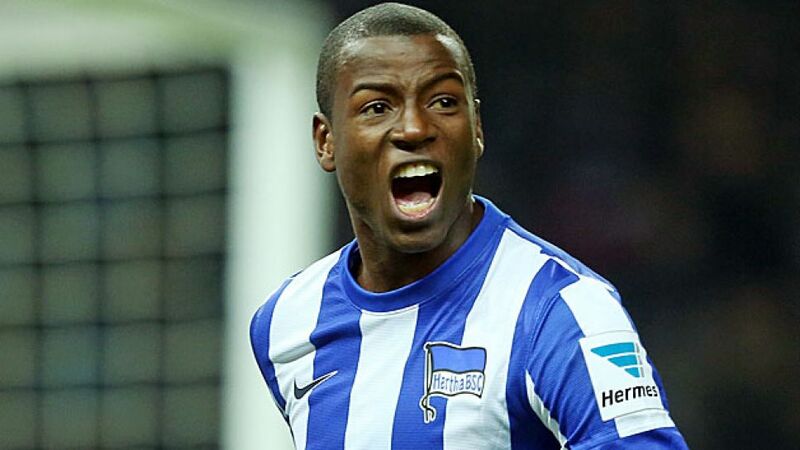 From northern Colombia to Dortmund via Berlin wouldn’t appear to be the most travelled path for a professional footballer, but Adrian Ramos is doing his best to make sure that one of the Bundesliga’s finest Colombian imports becomes a household name in the German game. Born in Santander de Quilichao in 1986, Ramos took his first steps as a professional footballer at nearby America de Cali. He progressed through the youth ranks at the club, which has provided many South American stars over the years, before making his senior debut in 2004. Subsequent spells with Venezuelan sides Santa Fe and Trujillanos - something of a step down - suggested the road to stardom may not be so simple, but he caught Hertha’s eye as a 22-year-old in 2008 with a goal against Deportivo Independiente Medellin, and moved to the German capital a year later. He settled quickly in Berlin, scoring ten goals in his debut Bundesliga campaign. It may not have been enough to save the Old Lady from relegation, but committed as he was, he followed the club down into Bundesliga 2, netting a further 15 strikes to help Hertha bounce straight back into the top flight. Ramos only managed six goals in 2011/12, but added another eleven in Berlin’s next stint in the second tier. In the three Bundesliga campaigns prior to his summer 2014 move to BVB, Ramos scored 32 times and provided a further 18 assists in 92 appearances for the capital club. Despite arriving in a new culture and needing to learn a new language, Ramos has never regretted leaving South America. "There were plenty of good moments, but also some bad times and I just tried to make the most of these five years. Fortunately that is why I’m in such a good period of form," he told Fichajes.com. "I've grown as a person and as a footballer during my time with Hertha." His move to Germany and passage to Dortmund were negotiated by Colombia-based agent Helmut Wenin. "He’s more than an agent, he’s a friend," Ramos said. "I regard him as a father who always wants what’s best for me. We have a great friendship and we are very honest with each other. I am very grateful to him because we always dreamed of making it in one of the biggest clubs in Europe." Having now achieved that ambition, Ramos wants to make his mark in a Colombia shirt. He was part of the Los Cafeteros Under-17 team that finished fourth at the 2003 FIFA World Cup - scoring three goals - and earned his first senior cap on 20 August 2008 against Ecuador. Ramos was named in Colombia's squad for the 2014 FIFA World Cup and made his first appearance at the tournament in a 4-1 victory against Japan. Ramos' form in Germany, meanwhile, has not gone unnoticed back home, where he has been baptised the 'Black Unicorn'. That name may be a little too tame for a man who comes from a city whose name etymologically stems from the words 'Dream Tiger'. In Ramos’ case, though, the Tiger reference is beginning to look increasingly appropriate.